San Francisco, CA, March 26, 2013 – VIZ Media, LLC (VIZ Media), the largest distributor and licensor of anime and manga in North America, has announced a special NARUTO SHIPPUDEN Design Contest, sponsored by NARUTO and NARUTO SHIPPUDEN licensee WeLoveFine (WeLoveFine.com), beginning today and running through midnight, on Tuesday April 16th. 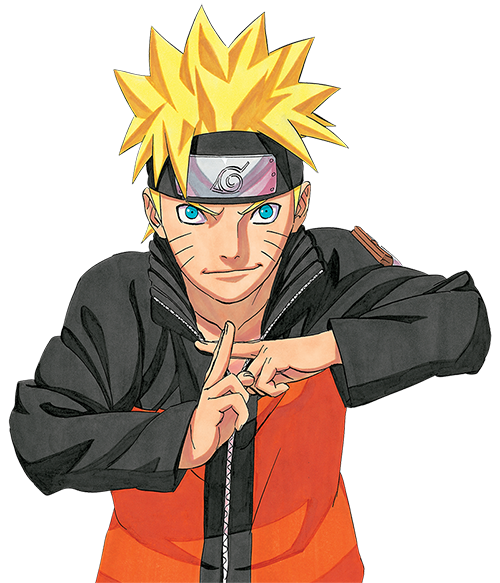 Fans are encouraged to channel their inner ninja and flex their artistic muscle to create an original “stylized” or “super deformed” (Chibi-style) rendering of a prominent NARUTO SHIPPUDEN character. All designs MUST incorporate characters and themes from NARUTO SHIPPUDEN and not from any previous episodes or manga volumes of the NARUTO series. Art pieces should be scanned and submitted to WeLoveFine. Submittals must be 100% original; exact copies of NARUTO manga or anime will not be accepted; do not trace any original NARUTO manga or anime artwork. Complete contest details are available at: http://www.welovefine.com/contest/39-naruto-shippuden-design-contest. Contest submissions will be judged and winners personally selected by WeLoveFine, along with esteemed Guest Judges Masashi Kishimoto, the creator of NARUTO and NARUTO SHIPPUDEN, Joe Otsuki, Editor of the NARUTO manga, and Hayato Date, Director of the NARUTO SHIPPUDEN anime series. The Grand Prize winner will received a paid 3-days 2-nights trip to attend Anime Expo 2013, the nation’s biggest anime convention set to be held in Los Angeles, CA, July 4-7 at the Los Angeles Convention Center. Prize package includes a 4-day Anime Expo membership badge, 1 round trip airfare (limited to U.S. domestic flights only) and lodging near the convention center. The three Guest Judges will also select their personal favorite design for a “Judges Pick” winner, and each of those artists will win $300 in cash! One runner-up winner will receive a $150 gift certificate for WeLoveFine.com and five Honorable Mention winners will each receive a $50 gift certificate for WeLoveFine.com. Created by Masashi Kishimoto, NARUTO was first introduced in Weekly Shonen Jump magazine in Japan in 1999 and quickly became that country’s most popular ninja manga targeting tweens and teens. The manga series (rated ‘T’ for Teens, in print and digital editions) and animated counterpart (NARUTO rated ‘T’ for teens, and NARUTO Shippuden rated ‘T+’ for older teens) are some of VIZ Media’s most successful properties and have captivated millions of fans across North America, Europe and South America. NARUTO is a co-production of TV TOKYO, VIZ Media parent company Shueisha Inc., and Pierrot Co., Ltd.
Author/artist Masashi Kishimoto was born in 1974 in the rural Okayama Prefecture of Japan. After spending time in Art College, he won the prestigious Hop Step Award for new manga artists with Karakuri (Mechanism). Kishimoto decided to base his next story on traditional Japanese culture. His first version of NARUTO, created in 1997, was a one-shot story about fox spirits; his final version, which debuted in Weekly Shonen Jump in 1999, quickly became the most popular ninja manga in Japan. In the NARUTO manga and animated series, Naruto Uzumaki wants to be the best ninja in the land. He's done well so far, but Naruto knows he must train harder than ever and leaves his village for intense exercises that will push him to his limits. NARUTO SHIPPUDEN begins two and a half years later, when Naruto returns to find that everyone has been promoted up the ninja ranks – except him. Sakura’s a medic ninja, Gaara’s advanced to Kazekage, and Kakashi… well he remains the same. But pride isn’t necessarily becoming of a ninja, especially when Naruto realizes that Sasuke never returned from his search for Orochimaru. Plus, the mysterious Akatsuki organization is still an ever-present danger. As Naruto finds out more about the Akatsuki’s goals, he realizes that nothing in his universe is as it seems. Naruto is finding that he’s older, but will he also prove wiser and stronger? More information on NARUTO and NARUTO SHIPPUDEN is available at www.Naruto.com.